Missio Alliance Essential Reading List of 2015Hearts & Minds Bookstore's Best Books of 2015, For Church LeadersProdigalThought.net's Top Reads of 2015Englewood Review of Books Best Books of 2015, PraxisLeadership Journal's Best Ministry Books of the Year Often as pastors we feel like we need to project strength and competency in order to minister effectively. That's why we go to conferences and emulate the latest superstars. But we know we can never live up to those images. Deep down, we know our own limitations, our weaknesses, our faults. We fear that if people knew who we really are, we'd be disqualified from ministry. Not so. Mandy Smith unpacks the biblical paradox that God's strength is revealed through our human weakness. 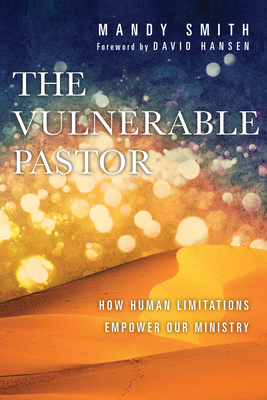 Transparently describing her pastoral journey, Smith shows how vulnerability shapes ministry, through our spiritual practices and relationships, influencing our preaching, teaching and even the nuts and bolts of the daily schedule. Understanding our human constraints makes our ministry more sustainable and guards us against disillusionment and burnout. We don't have to have it all together. Recognizing our weakness makes us rely on God, so our weakness can become a ministry resource. God has called you to lead not as a demigod, but as a human, so the world can see that the church is a place for humans like them.